Cars and Coffee at St. Ives Showground Sunday June 3rd. 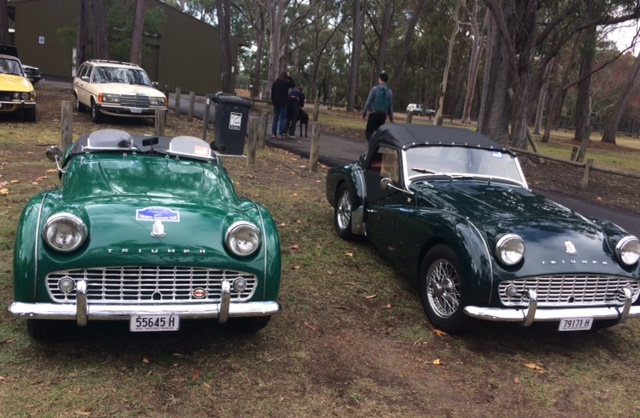 The owners of two Sidescreens chanced the weather to attend 'Cars and Coffee' at St. Ives Showground, NSW, on the first Sunday morning of the month of June. 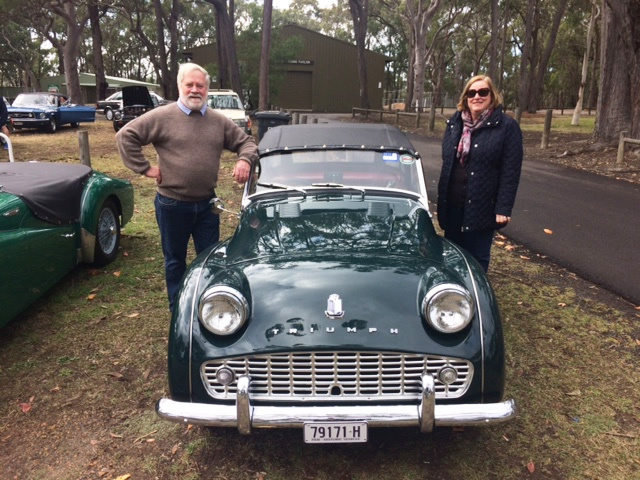 Importantly, new members Andrew and Jenny Ross were there in their lovely, recently acquired, TR3a. Mark Stuckey's car was also present, along with its owner. Other Register members attending, albeit in lesser vehicles, were Gavin and Kim Rea, John McCormack and Allan Wright. As always, this relaxed, unpretentious gathering attracted dozens of interesting cars of all types and ages. New members Andrew and Jenny Ross - welcome to the TR register!